Venkatesh Guru Movie 3 Days, Weekend, Collections Worldwide, Blockbuster. Guru movie is victory venkatesh 73rd film which was released on Friday and got blockbuster reviews all over. 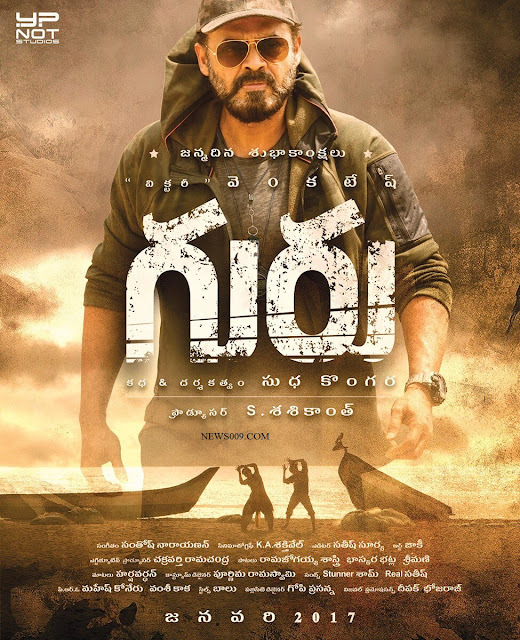 Movie is trending top at book my show with best ever reviews for any telugu movie with 91/100 ratings. Venkatesh and boxer rithika got best applause for terrific career best performance from all audience. Movie got released in around 600 theaters and got 1st day shares around 4 crores worldwide and 3 days shares are around 10 - 11 crores worldwide. Despite of non commercial cinema and with low number of theaters, Movie fetched more than 60% of budget in only 3 days. According to close sources of producers suresh babu and shashi, Movie have to fetch around more than 15 crores to enter to profits. As movie got tremendous word of mouth, Theaters are increasing day by day, Movie may enter profit zone by another 3-4 days and may collect total share of 30-40 crores and become blockbuster.